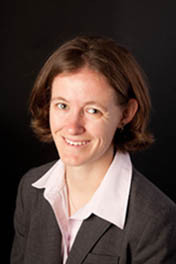 Jennifer S. Andrew is an Assistant Professor in the Department of Materials Science and Engineering at the University of Florida. Professor Andrew received a B.S. degree in Materials Science and Engineering from Northwestern University and a Ph.D. degree in Materials from the University of California, Santa Barbara. She performed postdoctoral work as a UC President’s Postdoctoral under Professor Michael Sailor at the University of California, San Diego. Jennifer joined the faculty in the Department of Materials Science and Engineering at the University of Florida in 2011.